Kelly Chen (陈慧琳) attended the recording of TVB variety, 'May姐有请' on December 28, 2011 in Hong Kong, China. 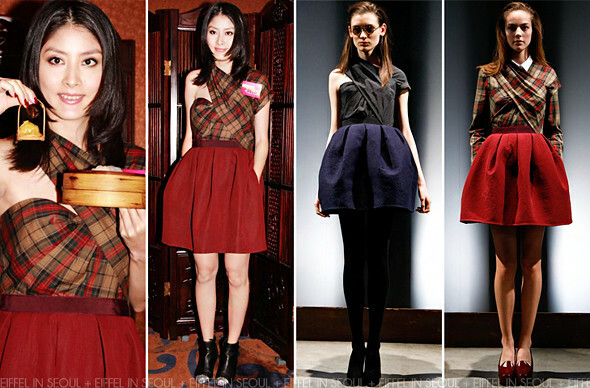 The Cantopop actress and singer opted for a plaid dress from Carven Fall/Winter 2011 collection. Accessorizing her outfit with black cap-toe lambskin boots from Chanel. The dress is really cute. However, I don't think it suits her. Neither am I a fan of those boots with the dress. What do you think?